None are without temptation. Even Christ was tempted. What do we do when we are tempted to use food for the wrong reasons? 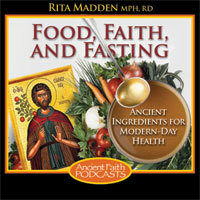 Rita discusses strategies to handle the misuse of food.